Kaicherise McRae flashes a high-wattage smile that belies the troubles she’s seen. Her effusive spirit is the kind you’d hope to find in a campus mentor and residence hall director. And her confidence is what you’d expect for a woman on the cusp of earning her master’s degree, while serving as the student representative to the Buffalo State College Council and planning a July 2017 wedding to a fellow student. 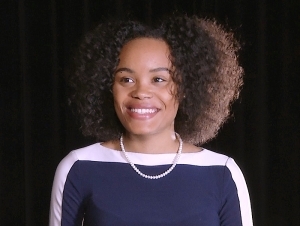 All of the above describe McRae’s remarkable life since joining Buffalo State as an undergraduate in 2011, culminating with her graduate studies in higher education and student affairs administration (HESAA). Her hope is to eventually earn a doctorate and work as a college professor. What isn’t evident is a childhood marred by upheaval and uncertainty or the significant loss she suffered just a few years ago. When she was 7 years old, McRae was removed from her home due to her mother’s drug addiction. At the time, her father was in prison. Her mother’s sister adopted McRae and raised her in Queens and Binghamton, New York. Despite the newfound stability, McRae struggled and rebelled. Meanwhile, her half-sister, Kristal Gupta, grew up with a different relative. The sisters only saw one another during summers but still forged a connection. During Kaicherise's junior year at Buffalo State, she received the devastating news that 14-year-old Kristal had taken her own life. The tragedy inspired McRae to create the Kristal Gupta Project in 2014, a nonprofit organization that aims to increase teens’ self-esteem. It includes an annual campus fundraiser benefiting Compass House, a local shelter for runaway and homeless teens. Also, McRae began visiting local schools and speaking to civic groups about suicide. Along with supporting her through the loss of her sister, McRae said Buffalo State helped her find her “why” in life. “Buffalo State has made me who I am today,” she said. “As an undergraduate sociology major, I was learning about humans and the different ways they interact. But I wasn’t sure what I wanted to do with my life. Her extracurricular activities also helped sharpen her focus. While an undergraduate, McRae was instrumental in bringing the first NAACP chapter to the Buffalo State campus. 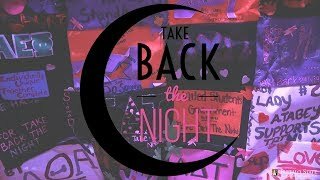 She founded the You Are My Sister organization, which helps campus women engage with and support one another. As a graduate student, she’s served as a mentor with two campus organizations and she helped create the Commuter Ambassador Program while interning in the Student Life Office. In 2016, she represented Buffalo State in the Miss New York/USA Pageant, and she was elected to the College Council where she meets regularly with top campus administrators and community leaders. “I’ve learned so much from these people,” she said. In 2016, she also was named Resident Director of the Year for her job heading Neumann Hall, a first-year dormitory. It’s a fitting tribute as college housing is the area in which she wants to work.